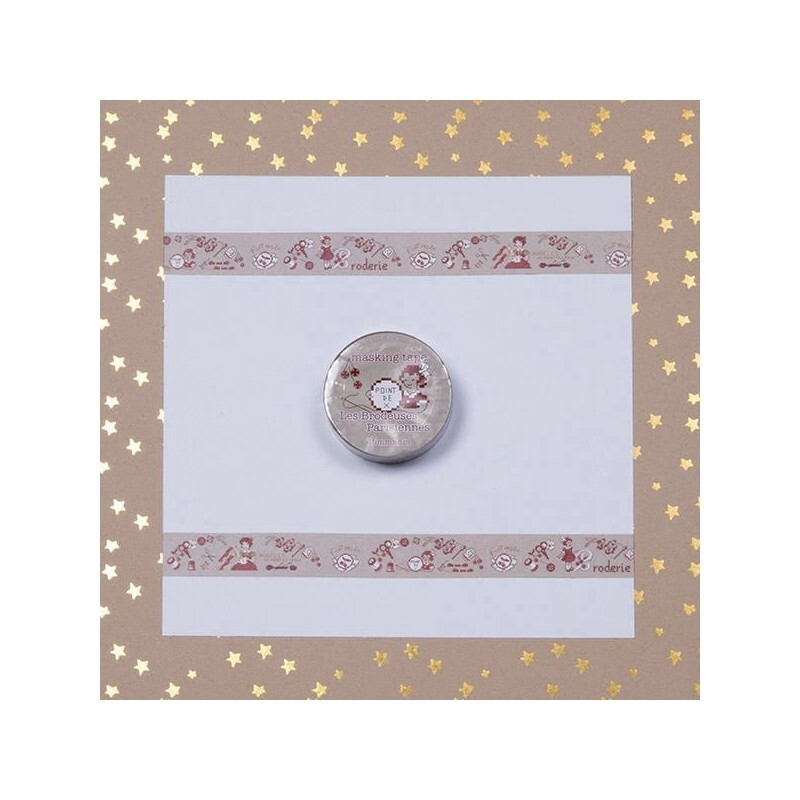 Personalize your embroidery, box of pins, pearls or buttons with this very pretty adhesive paper printed with Embroidery motifs which can be re-positioned if necessary. They can be cut by hand and are easily glued and unglued without leaving any sort of mark. 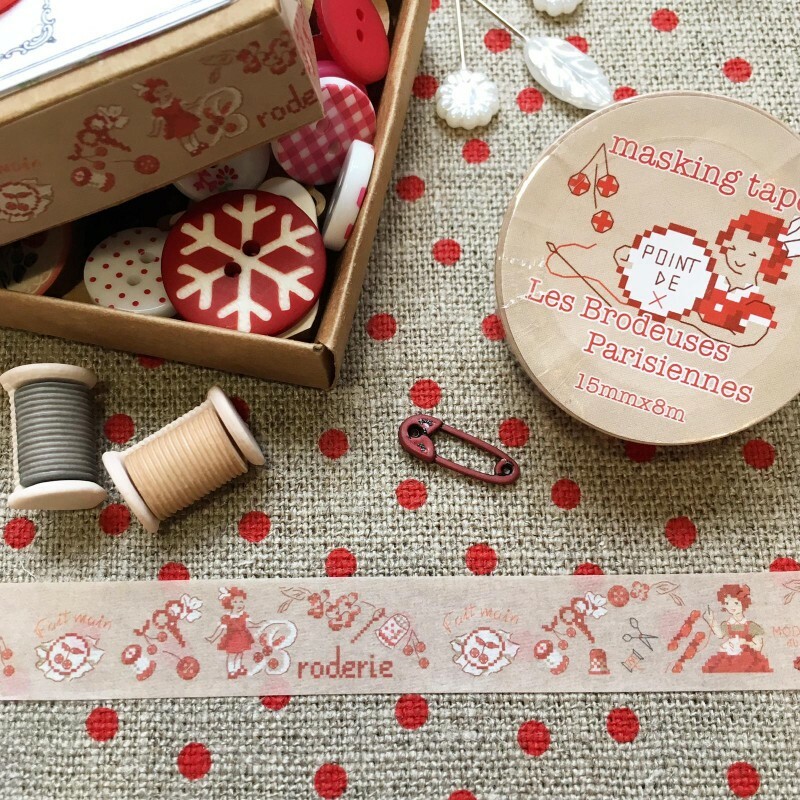 As far your embroidery is concerned, this clever little roll offers you a really attractive way of adding that personal touch to your creations. Each roll gives you an 8 meter length of re-adjustable paper which is 1.5 cms wide. To find 2 « Baby » Masking tapes click here ! 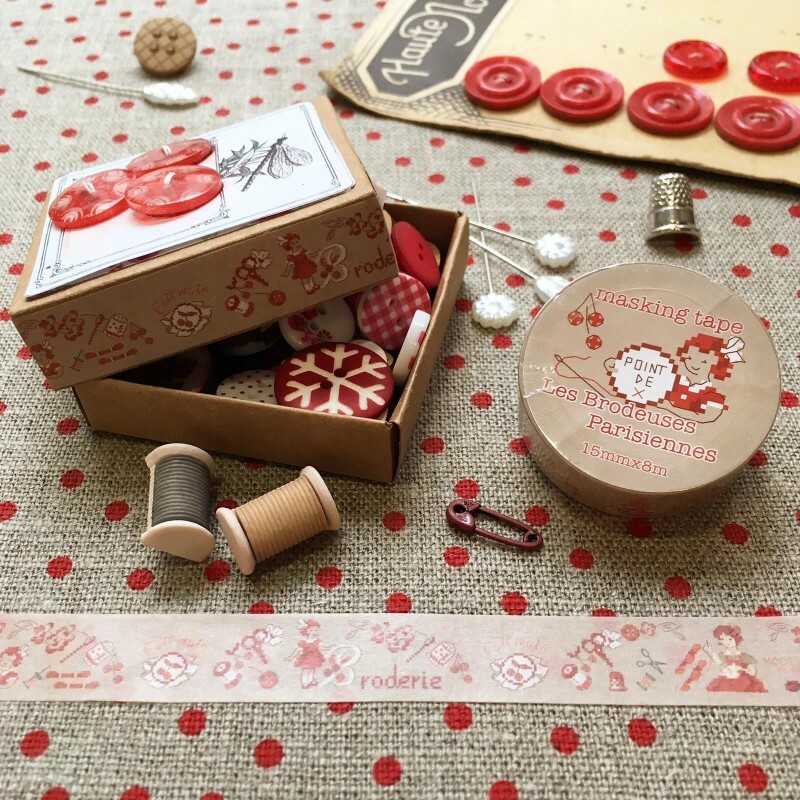 To find 2 « Christmas » Masking tapes click here ! To find 2 « Sewing » Masking tapes click here !